At 40, Jen Zoe Hall found her life turned upside down. She was newly single after a devastating divorce, had few career prospects and was forced to move in with her former personal assistant, living out of her suitcase she pieced her life back together. With very little money to her name, Jen Zoe Hall made a decision that would change her life forever: She attended Date With Destiny where she learned to identify all the limiting beliefs that had been holding her back. 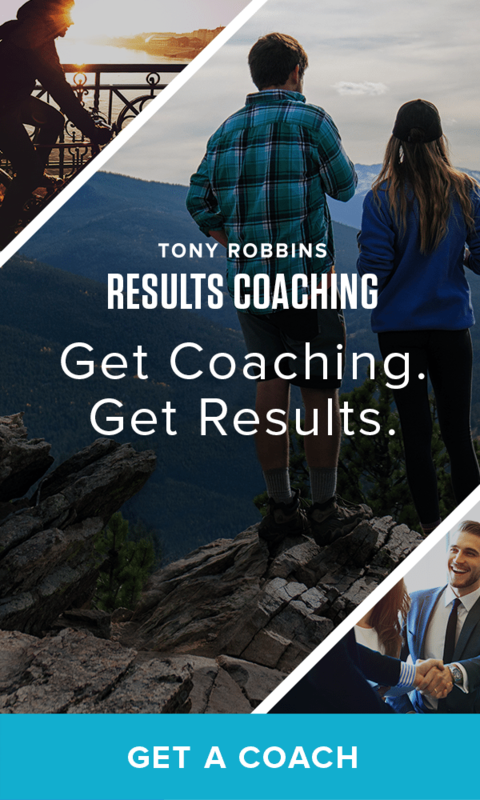 She realized she’d been telling herself that she couldn’t be successful without a man in her life, but by attending the spirited Tony Robbins event, she learned she could change her story and started finding her inner strength. After so many setbacks, it was encouraging to be reminded that she still had her own sense of agency. Feeling more inspired than she had in years, she took the next step to achieve real transformation in her life she started working with a professional Results Coach. “It was the shot in the arm that I needed to work toward my greater purpose. I got a coach, and that was a massive gift,” said Jen. Jen and her coach immediately clicked. Her coach knew where Jen was at in her life and where she wanted to be, and helped her to bridge the gap between the two. The day before she was set to arrive to surprise her family, Jen’s mother unexpectedly called herto let Jen know her brother had died. Jen credits her coach for helping her get through the enormous pain of losing her brother. Although there were many dark times ahead, Jen’s Results Coach helped her to stay motivated, even when things seemed incredibly bleak. Dealing with the death of her sibling seemed impossible at first. By remaining positive and productive, Jen was able to combat the immense grief she felt and work toward her dreams. Since originally working with her coach, over the course of four years, Jen has doubled her income twice. Working with her coach and finding her inner strength enabled Jen to do what she loves. Now, Jen’s working with her coach to build an action plan that will help her double her business for the third time. She went from devastating loss to owner of a 10-acre property, with her dream house and numerous horses on site. Jen is working her dream job and being incredibly successful doing so. She still regularly checks in with her coach and credits their relationship for much of her progress, both emotionally and financially. Jen describes working with a Results Coach as a “fluid experience.” The process was almost entirely customizable. There’s no one-size-fits-all cookie cutter approach to coaching. “They don’t tell you what to dream – they tell you how to get there,” said Jen. Jen’s coach was committed to seeing Jen succeed, helping her to identify ways to reach her goals and knock down any roadblocks in her way. During times of extreme stress and burnout, Jen’s coach encouraged her to take down-time to properly heal and recharge before diving back into her business aspirations. Inner strength looks different for everyone. Jen Zoe Hall had always been a strong person, but it took hitting her personal rock bottom to find the success she was truly capable of. She was able to see herself as a complete person – she knew she no longer needed a romantic partner to support her and she could get through intense moments of pain and come out on the other side all right. By finding her inner strength, and working with a trained Results Coach who helped her channel her authentic goals and vision, Jen feels that she’s not only fulfilled with her own life, but she’s able to help others now, too, through her business. Are you ready to find your inner strength? Sign up for your complimentary introductory session with a Results Coach today.